The University of Arkansas’ Research Frontiers blog publishes an account by Molly Jensen, Walton College clinical associate professor of marketing, of the Marketing in Rome – An American Consumer in Italy program. The program allows students to earn six hours of marketing credit while studying at the University of Arkansas Rome Center. Classes in consumer behavior and marketing research were designed to cover the class material with a focus on Italy and Rome in particular. 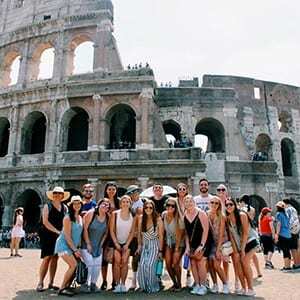 Over a five-week summer session, students explored Rome and several parts of Italy and worked with Roman businesses on a marketing research project. Read the article at Research Frontiers.